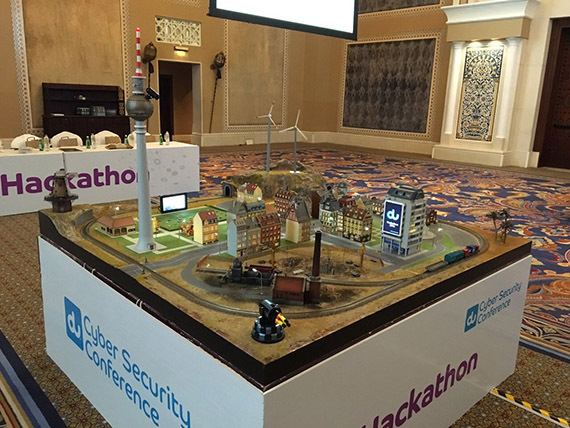 echoCTF offers a hands-on aproach to sharpen skills in computer science and ethical hacking. Attack, scan, brute-force and do whatever it takes to solve the real-based security scenarios. 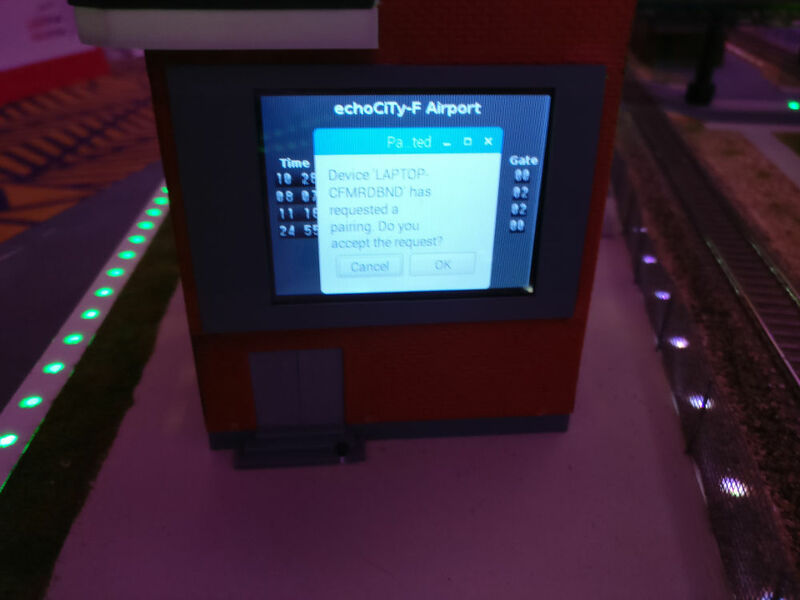 Our engineers will help you to manage echoCTF as a fun and educational classroom event. 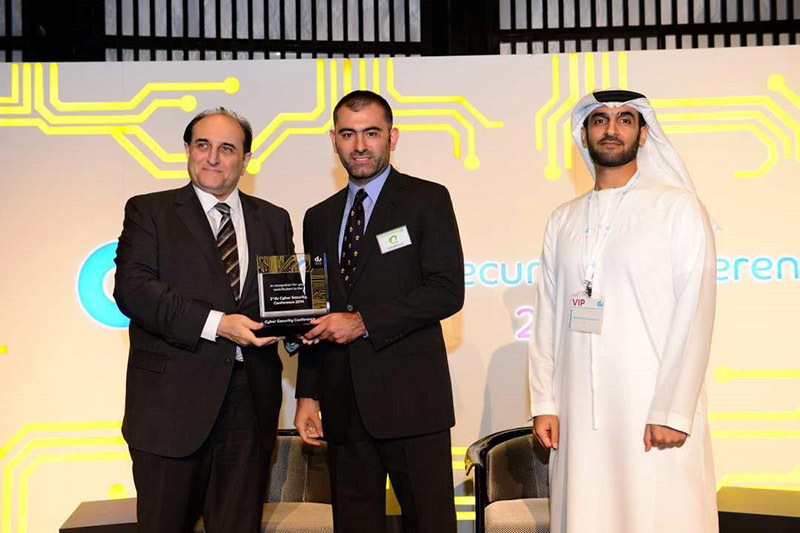 Echothrust Solutions has the potential to organize echoCTF for Security Conferences, Hackathon Events and Private Training Courses worldwide. 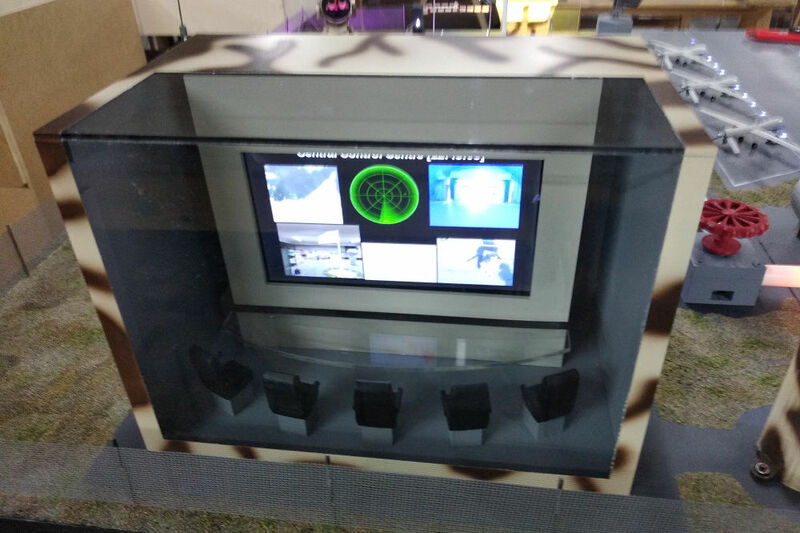 We can provide the echoCTF platform with our own technical equipment in every company's infrastructure. 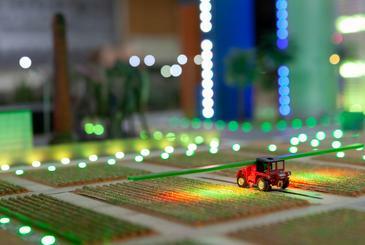 Our expert team of engineers is always aeger to help our customers. 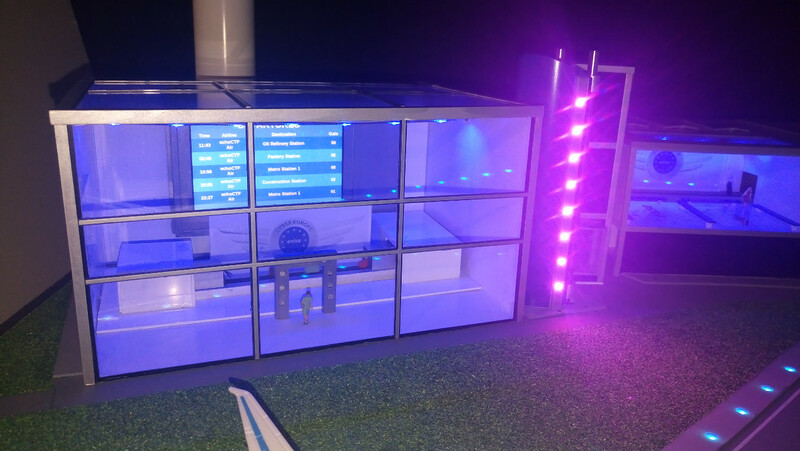 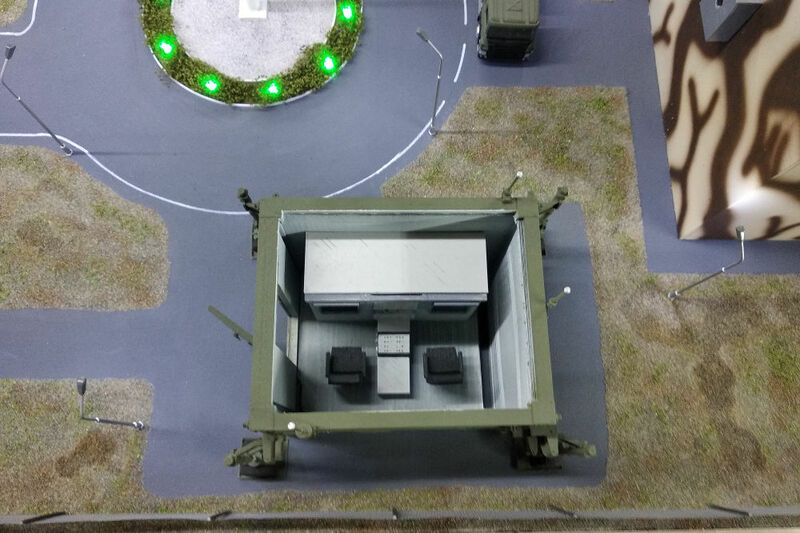 A demonstration platform, created for one of our clients for the needs of the IDEX 2019, which perfectly demonstrates the diversity of our platform. 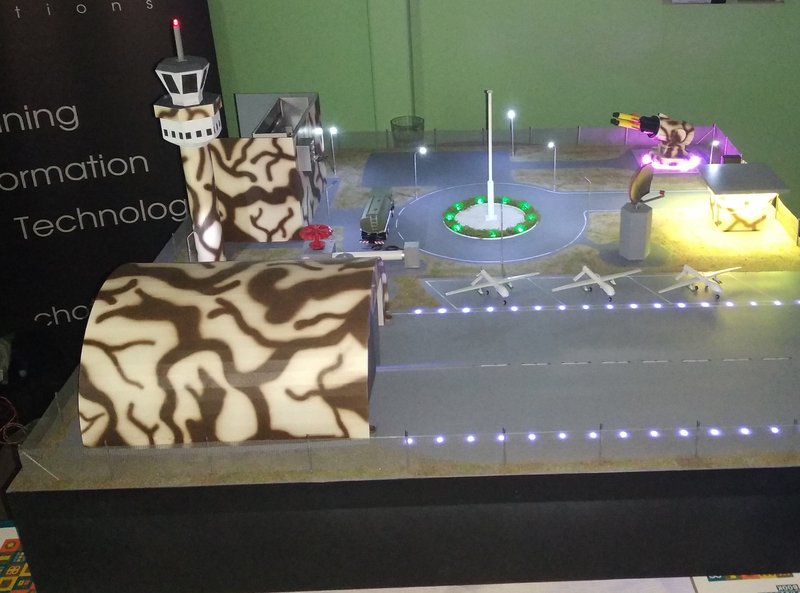 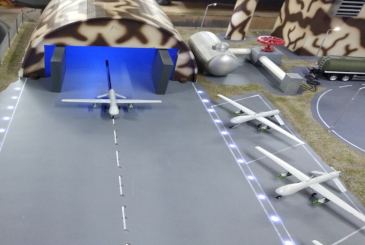 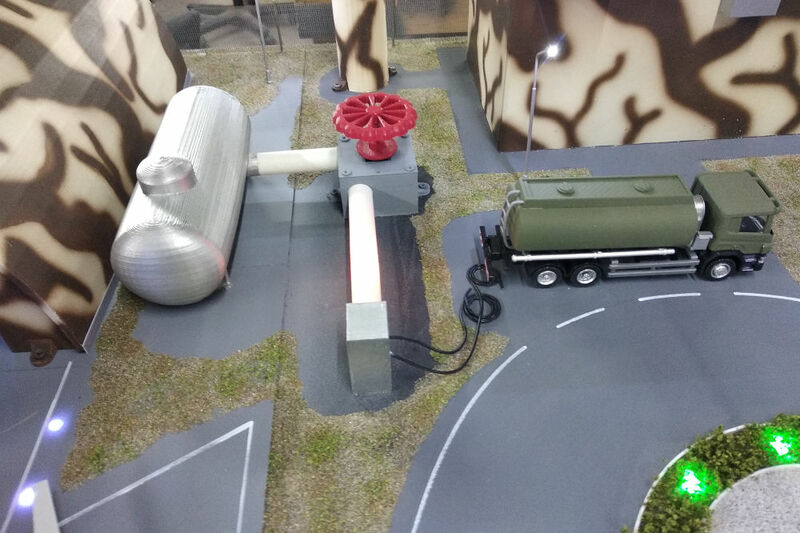 This military themed platform is comprised of echoCTF targets and a diorama specifically tailored to illustrate the effects of security lapses on modern military facilities. A presenter attacks and takes control of systems (echoCTF targets) of the military facility which control various infrastructure elements of the diorama through real-life services. The attacks result in opening the automated hangar doors, take control of a UAV, bypass authorization checks on gates and more. 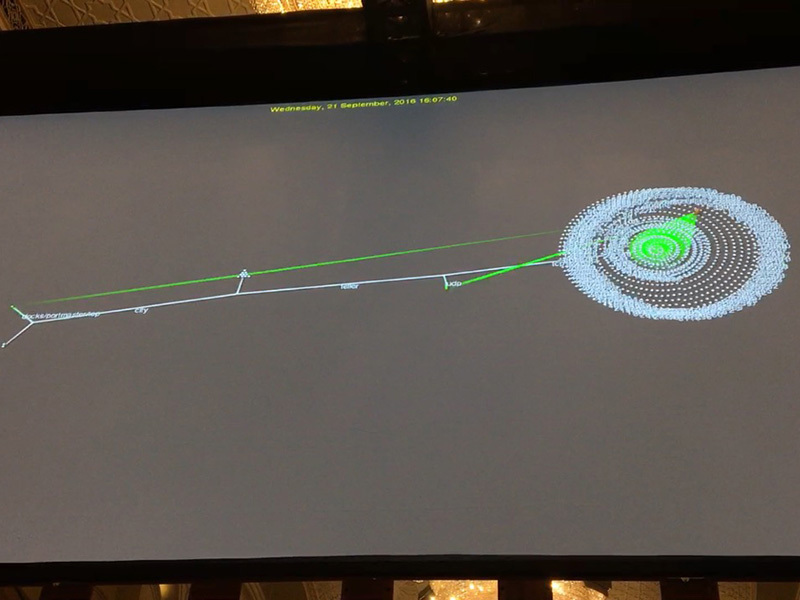 For the second year in a row, Echothrust Solutions was tasked to deliver an echoCTF based competition for the Cyber Sabers Hackathon. 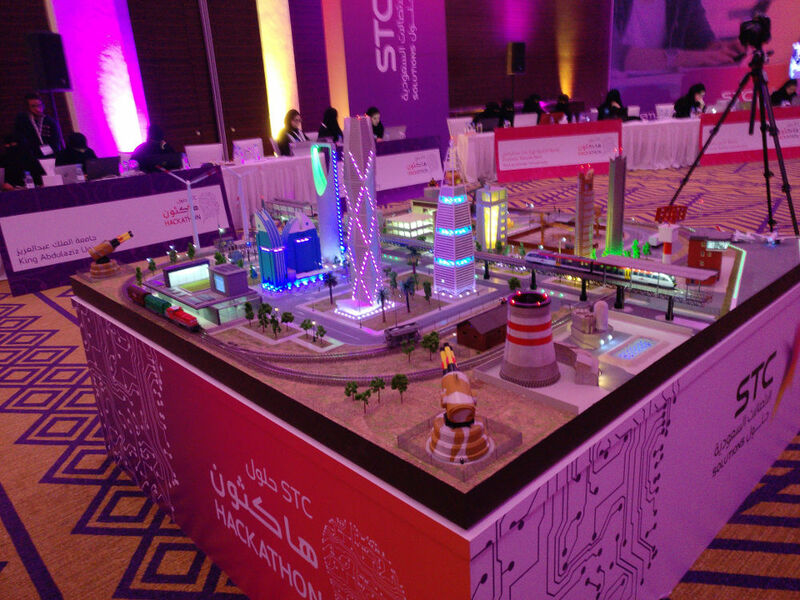 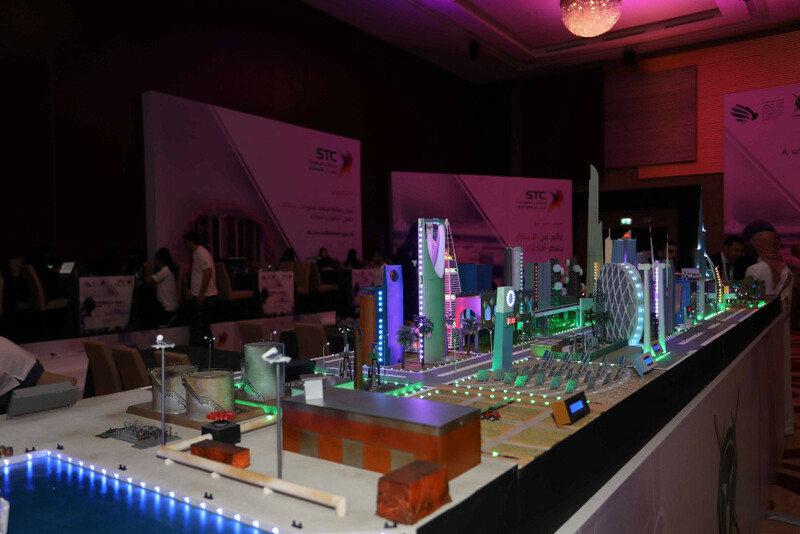 The competition took place during the two days of the MENA ISC 2018 and included 36 teams and 153 participants. 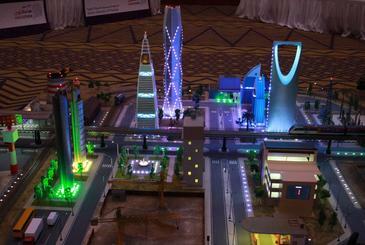 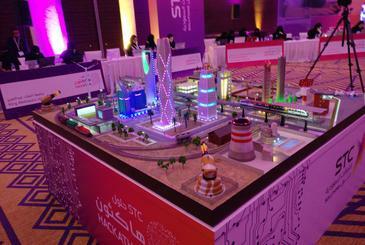 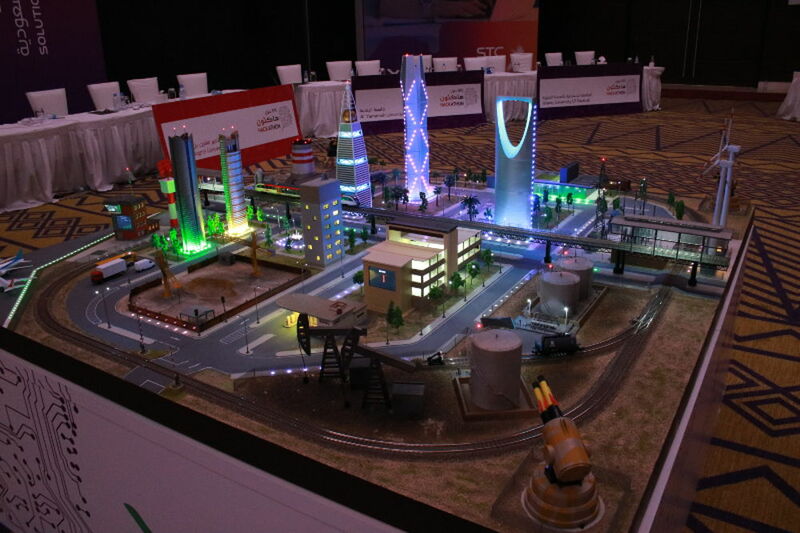 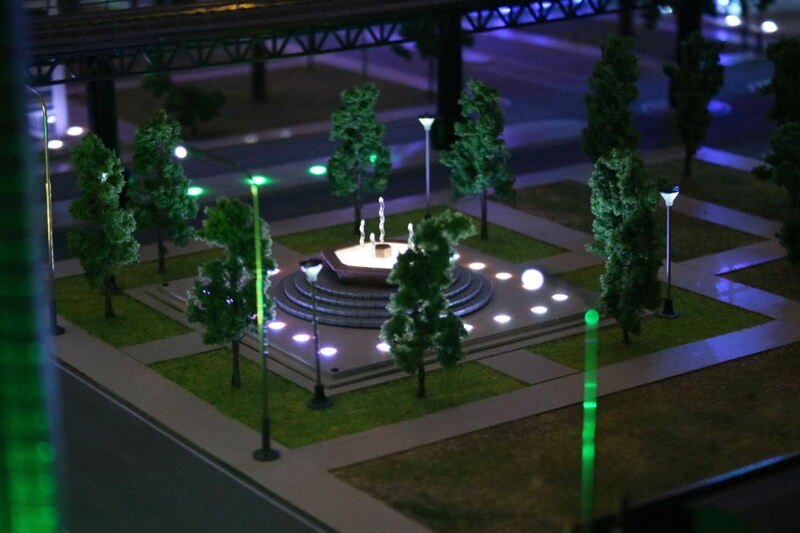 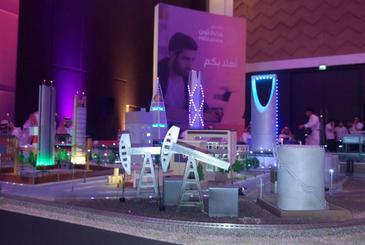 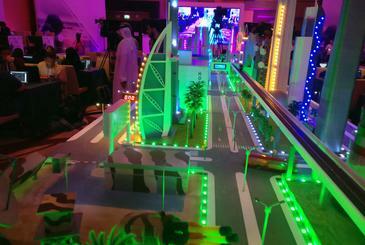 This year, we included even more custom made models of signature buildings of Riyadh, Jeddah, Kuwait and Dubai. 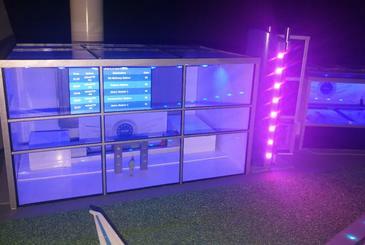 Besides the usual offensive challenges, programming and defensive challenges were also developed. 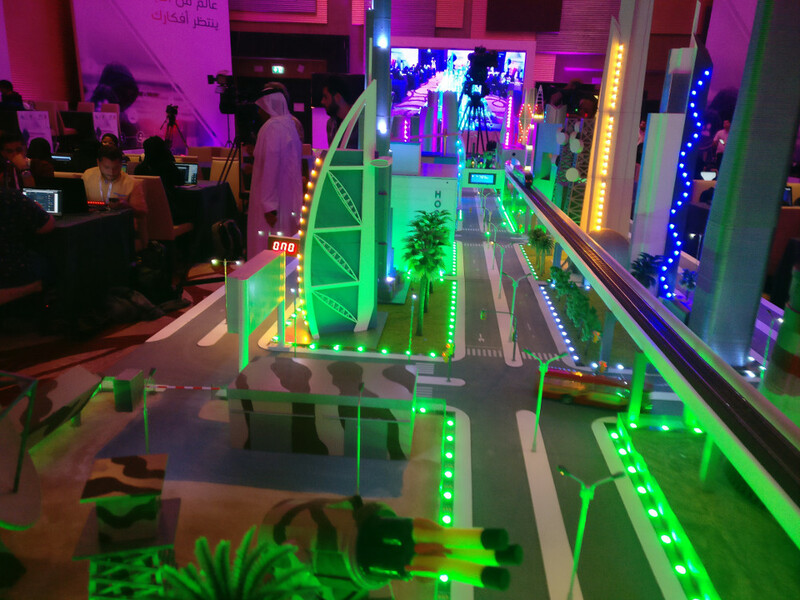 The top scoring teams were awarded with prizes of 50,000 to 20,000 SAR and every participant was awarded with a certificate of participation. 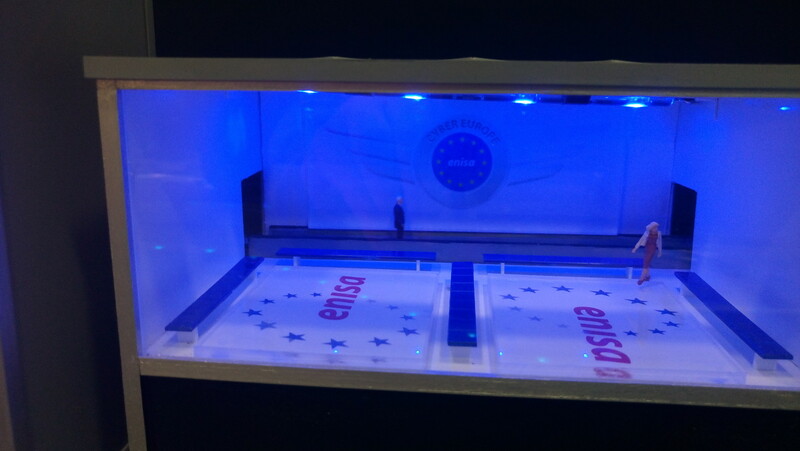 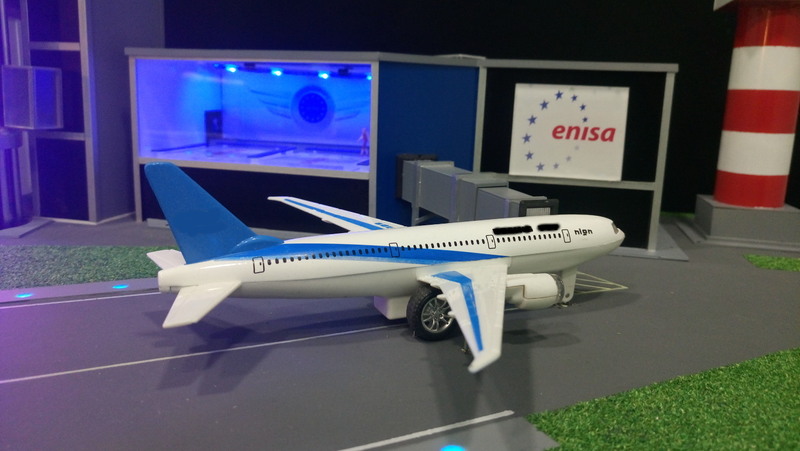 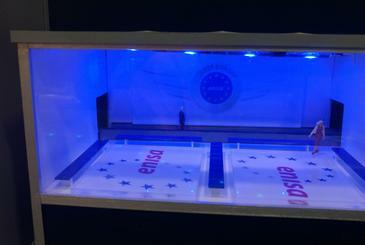 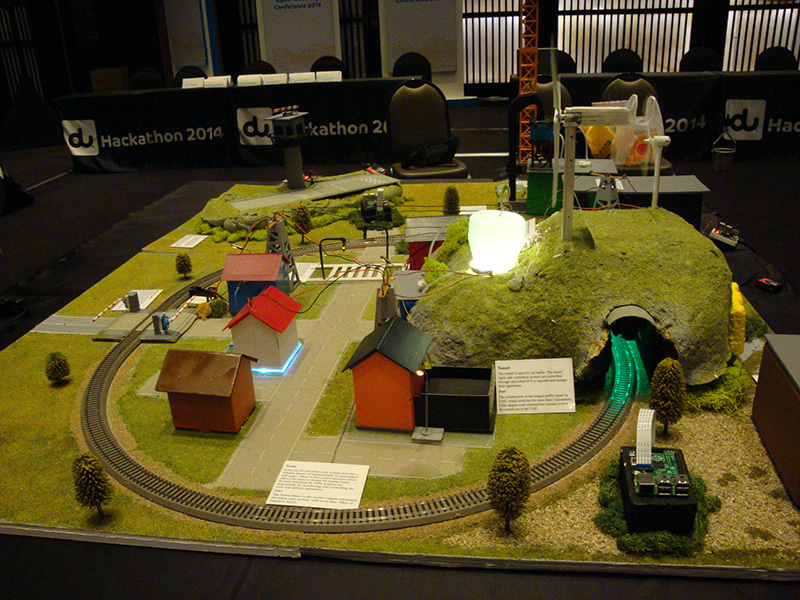 European Network and Information Security Agency (ENISA EU Agency) "Hack the Airport" concept includes airport infrastructure CTF scenarios which are visualized through a scaled model of an airport. 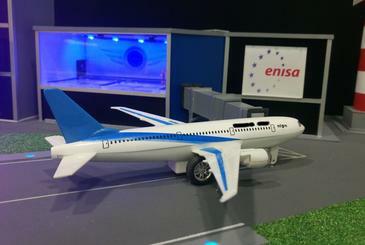 ENISA Hack the airport is utilized as part of the 5th pan European cyber crisis exercise, Cyber Europe 2018 (CE2018). 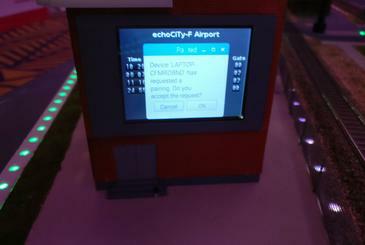 The scenarios include obtaining control of a jet bridge, the radar, a moving walkway, the departures board and more. 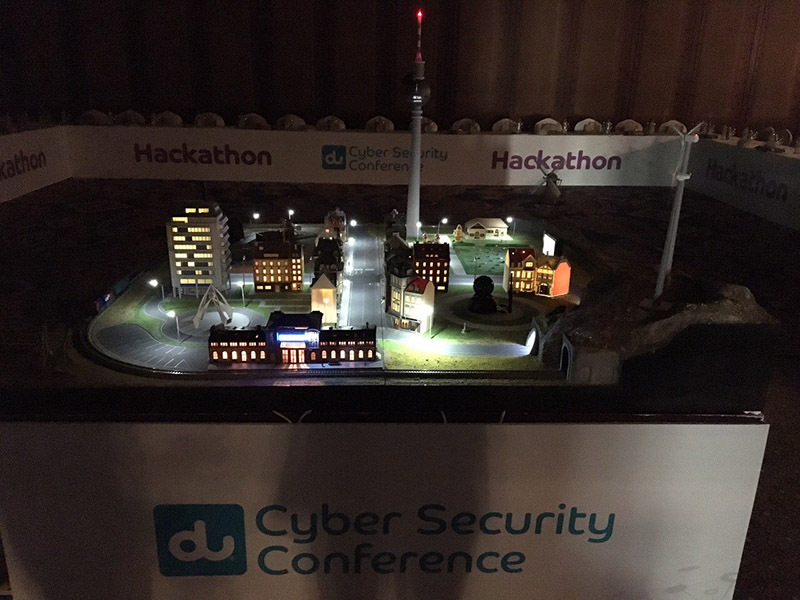 As part of the MENA ISC 2017, a Hackathon competition took place and students of more than 10 Universities across KSA (Saudi Arabia) participated. 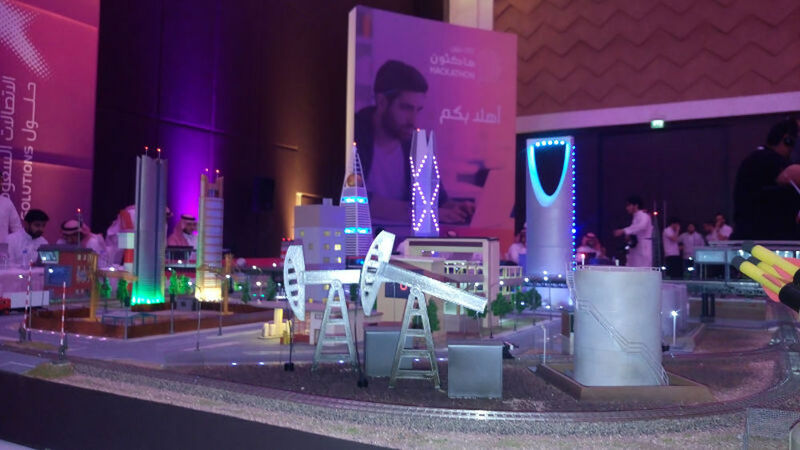 This time, amongst other elements usually included on echoCiTy-F, custom made models of signature buildings of the city of Riyadh were constructed. 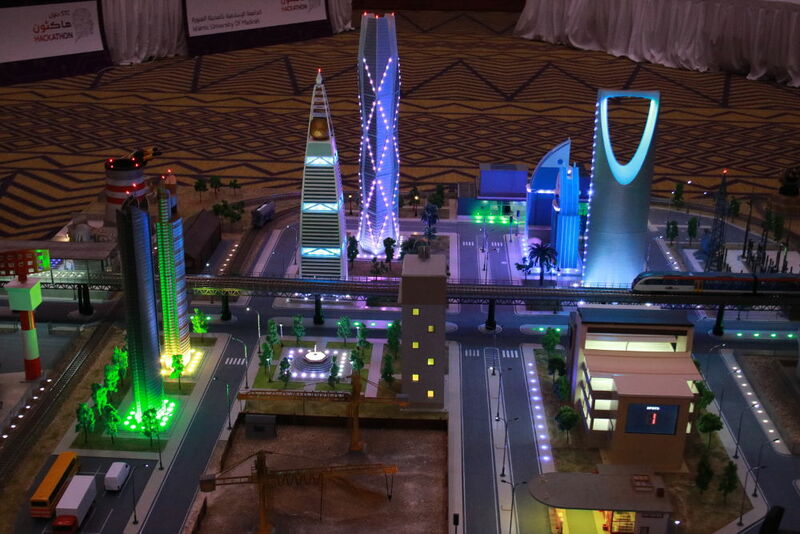 Along with other challenges on information systems and infrastructure elements, aspects of the custom made buildings could also be controlled like the elevator and lights of the Kingdom Tower and lights of the Burj Rafal tower. The top four point scoring teams were awarded with prizes of 50,000 to 20,000 SAR and certificates of participation. 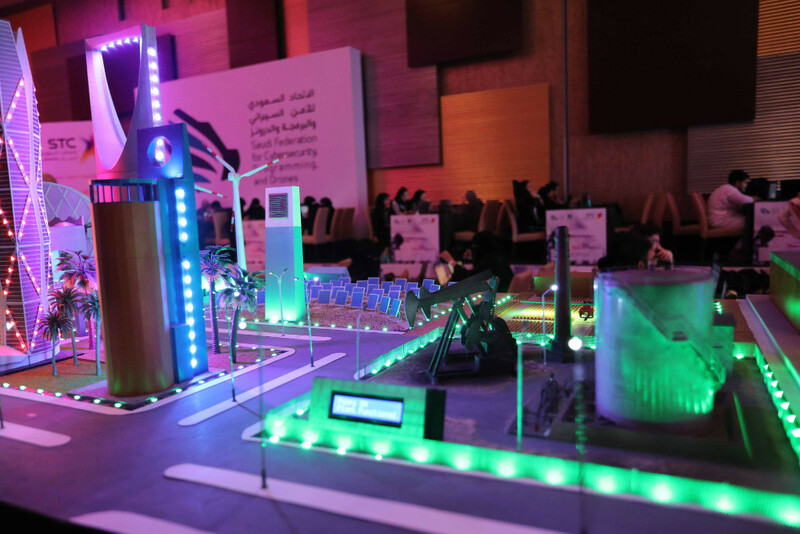 Echothrust Solutions created from scratch, a smart city model, the echoCiTy-F, which represents vital infrastructure components of a smart city - including ICS and SCADA systems for transportation, energy, communications and construction. 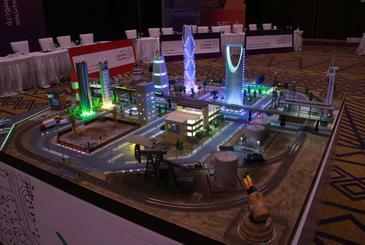 The gameplay was visible to the players and public through computer generated visualisations. 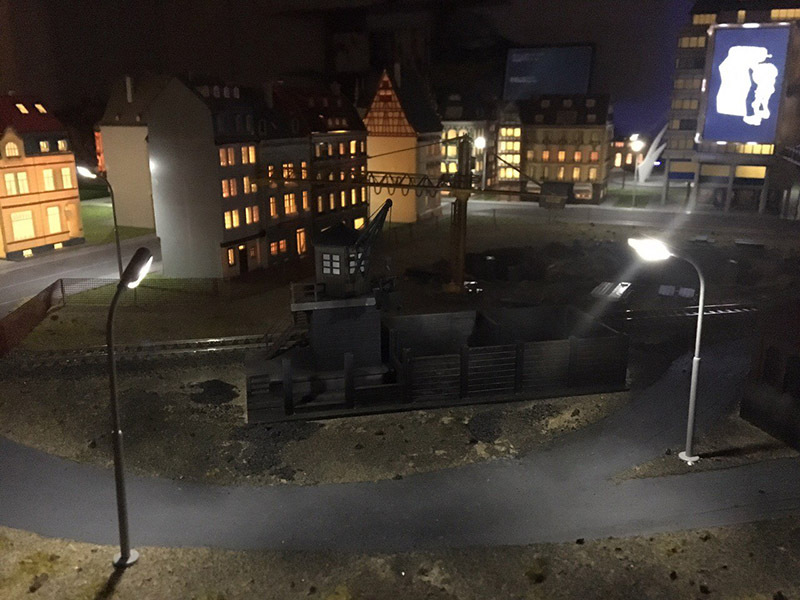 Amongst other challenges, hackers tried to obtain control of a model train, its rail tracks and the train passage bars, the lights and ventilation of a train tunnel, the airport's communication tower, a power plant and a nuclear plant, wind turbines and more. 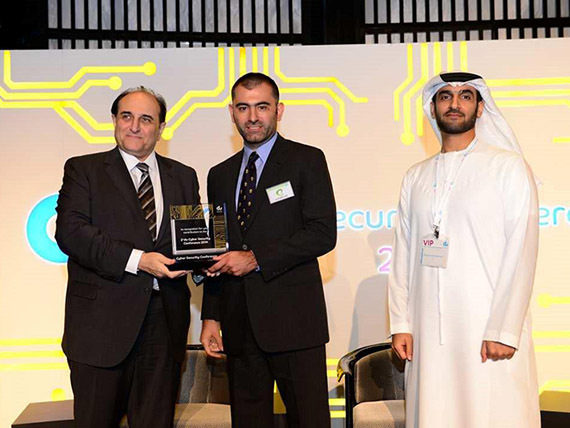 echoCTF's gameplay was designed to assess students knowledge and skills and educate them on cyber security and ethical hacking. 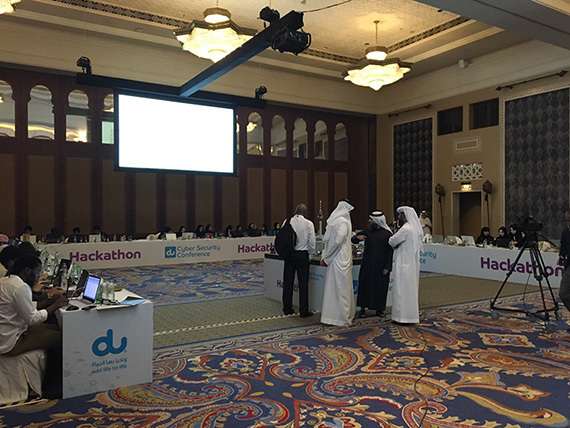 The team with the highest points at the end won the competition, taking home the prize of AED 20,000 and certificates of participation. 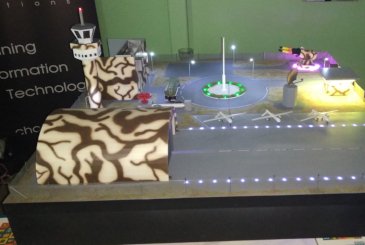 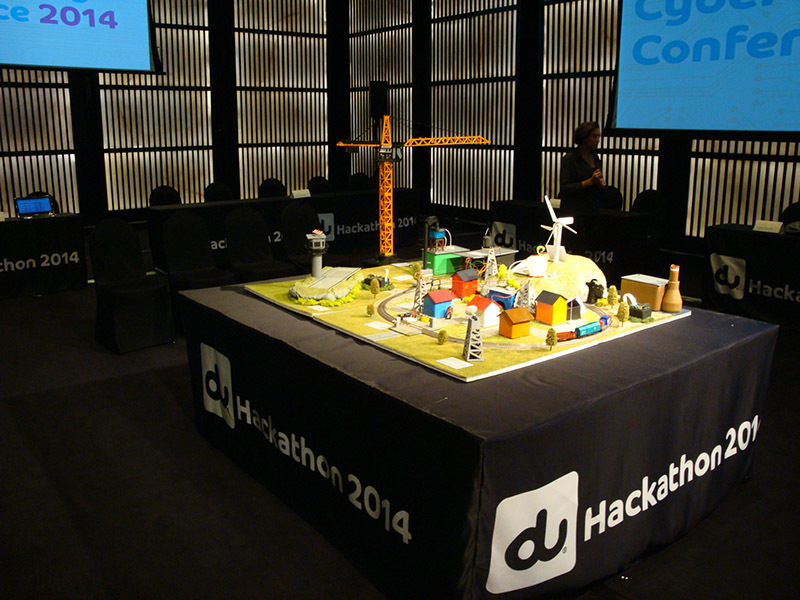 Rocket Launcher protecting the Industrial section of the DU Hackathon 2016 echoCiTy-F model city.